Simple elegance. This lightning-fast double chain drive pedal is what a bass drum pedal should be. 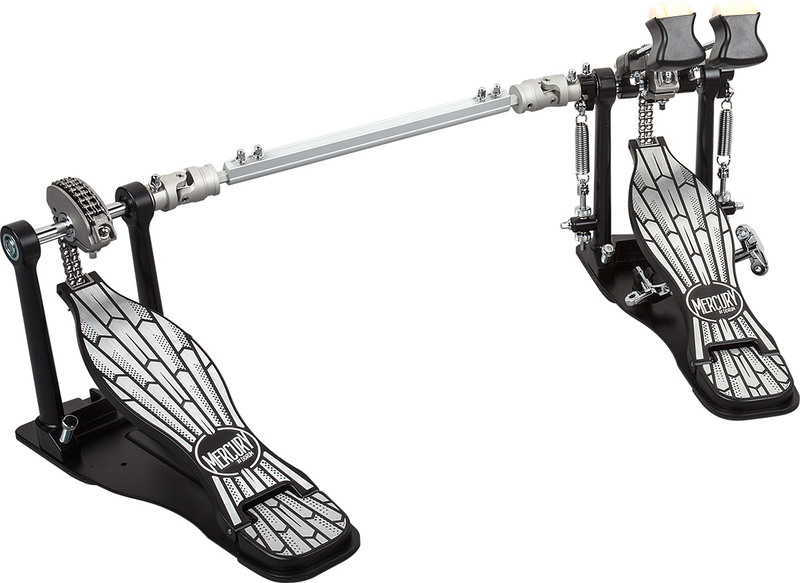 From the Art Deco foot board and heel plate, to the black floor plate, this pedal exudes class. The liquid-smooth bearings and hemispherical cam allow for anything from the lightest, most intricate footwork to the most aggressive attack. The slave unit uses the same technology for play equal to that of the primary pedal.